AK Writes: With several changes on the horizon for my business, I will have to look at making changes to my employees’ contracts. I am conscious that this may cause some disruption amongst my workforce, so what do I need to bear in mind to ensure that I am complying with employment law? One of the most important things to consider when changing terms is what the law says about the employees’ entitlement. Some terms and conditions included in the contract of employment are governed by a statutory minimum floor and it would be unlawful to amend the term below that minimum. This can include, for example, pay which must not go below the national minimum wage rate appropriate for the employee’s age; annual leave entitlement and statutory notice periods when employment is terminated. Where terms require amendment because of a change in the law then you are free to make that change with no input from your staff. Similarly, where terms are non-contractual, then you are able to make changes to these at discretion but it would be important to ascertain the legal position on whether they were genuinely non-contractual terms. However, the general consideration when changing terms and conditions – specifically those which employees may not like – is engaging them in communication about it. 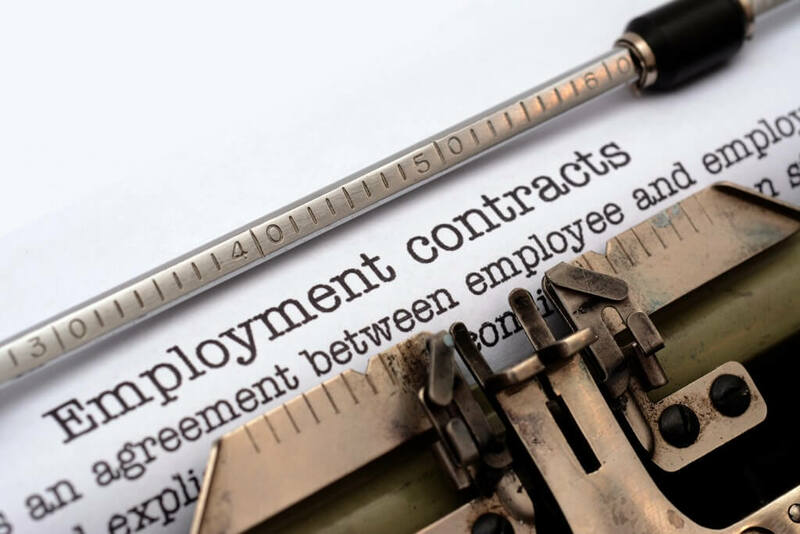 Terms and conditions which are agreed as being part of the contract of employment whether at the start of employment or at a later point cannot be changed by you without gaining the agreement of the employee. If you were to go ahead and make changes without this agreement then your employees may be entitled to make a claim of breach of contract. In some circumstances, where the contractual term involved is significant, the employee could resign and take you to tribunal for constructive dismissal. You should informally speak to all staff that would be affected, explaining the change and the reasons for it. You can also include telling employees of any possible outcomes that could happen if the changes do not go ahead. Offering the affected employees some sort of one-off incentive to gain their agreement, such as a one-off payment, can be considered as this can encourage agreement but it is important that agreement is confirmed in writing. Whilst dismissal on current terms and reengagement on the new terms is an option, this can be a tricky situation to manage and defend at employment tribunal.